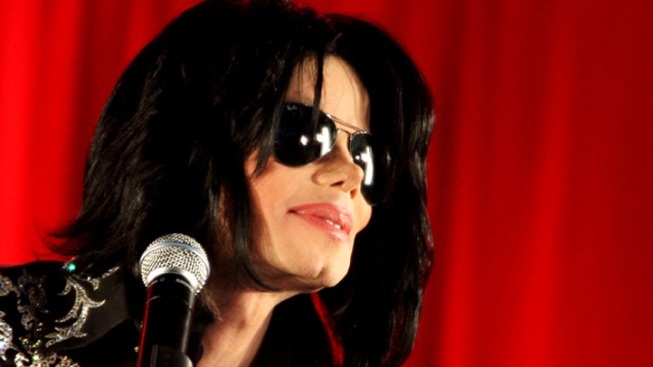 Michael Jackson attends a press conference to announce plans for a summer residency of concerts at the O2 Arena, Grenwich on March 5, 2009 in London, England. A spectator attending the civil trial over Michael Jackson's death was banned Wednesday by a judge after he snapped a photo in a courthouse hallway that included jurors hearing the case. Earlier on Wednesday, jurors watched the videotaped testimony of a physician who said he treated the late singer to help him stop taking Demerol. Bailiffs confiscated William Wagener's cellphone and ordered him to return on Thursday to find out whether the ban will remain in place or other disciplinary actions will be taken. Wagener said he inadvertently snapped the photo on his smartphone while riding an escalator. He cooperated with bailiffs to retrieve the photo and said he did not send it to anyone. The photo is the latest incident that has raised concerns about the security around jurors hearing the negligence case filed by Jackson's mother against AEG Live LLC. Two alternate jurors were approached by a woman last month who told them not to award any money to the Jackson family. In recent days, tiny windows on the courtroom door were blocked after jurors reported seeing someone press a camera to the window and snap a photo during the proceedings. Videotaping and photography in the courthouse are banned without a court order, and a judge blocked a request by news outlets to broadcast the trial. Bailiffs or a court clerk give daily reminders of the courtroom's rules, which include a ban on any transmissions from inside the trial or loud outbursts during the testimony. Wagener, 67, said he posts updates on the trial on Facebook and YouTube and has sold rights to videos he made during Jackson's 2005 criminal trial. He said if he's banned from the trial, it will hurt his ability to cover the case. He said being in the courtroom is the only way to hear the inflection of lawyers and witnesses and get a full sense of the proceedings. Earlier, in a videotaped testimony, one of Jackson's former physicians described how in 2002 he placed an implant in Jackson's abdomen to block the effects of opioid medications such as Demerol. Dr. Alimorad Farschcian said Jackson told him that he wanted to stop taking Demerol for the sake of his children. The Miami-based physician became close to the entertainer after treating him for a sprained ankle, spending time at Neverland Ranch and meeting Jackson's mother on Christmas Day in 2002. Farschcian said the implant kept the singer off of Demerol for at least nine months and Jackson's mother Katherine seemed pleased when he described it to her and her son showed her the device. Katherine Jackson testified on Monday that she never saw the device and could never prove her son abused prescription medications. The Jackson family matriarch is suing AEG Live, claiming it negligently hired another doctor, Conrad Murray, who was convicted of administering Jackson a fatal dose of anesthetic in 2009. No trace of Demerol was found in Jackson's system when he died. AEG Live denies it hired Murray, and its attorneys have said Jackson hid his addiction struggles, and the company bears no responsibility for his death. Superior Court Judge Yvette Palazuelos said she would consult with another judge about how to handle Wagener and the photo of jurors.